That's what the Admin Coordinator at a small nonprofit I know used to tell me when I'd suggest using software instead. Then one day she found a discrepancy in her reporting — one that threw off the whole month's budget. It took three hours to find the right time sheet, and when she did, it turned out to be a simple manual entry error. She's switched to a time tracking software now, and can't believe she ever filled things out by hand. If you're looking for a better way to fill out time sheets, there are a number of easy-to-use (and free) time tracking software tools that can completely automate the process for you — everything from tracking volunteer hours, to assigning and tracking staff projects. 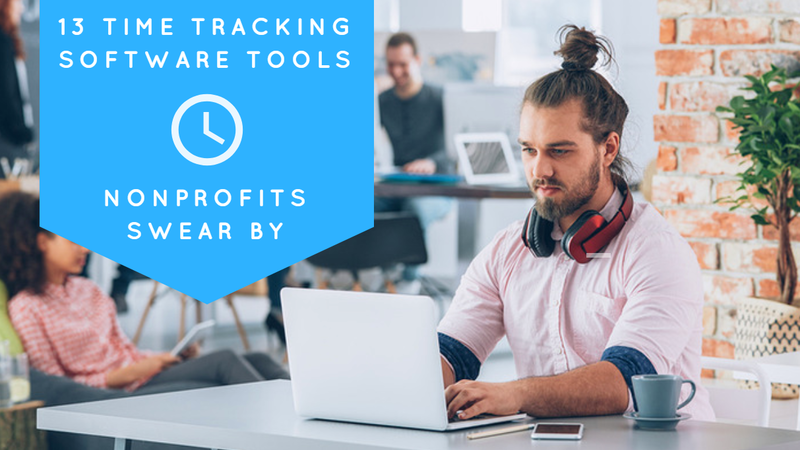 In this post I'll cover the top features of time tracking software and eleven popular options used by nonprofits. Below, I've put together a list of eleven popular time tracking software tools. I’ve sorted the list alphabetically and listed the prices and highlights of each tool to help you pick the best one for you. I also included a review from a nonprofit if I was able to find one online. 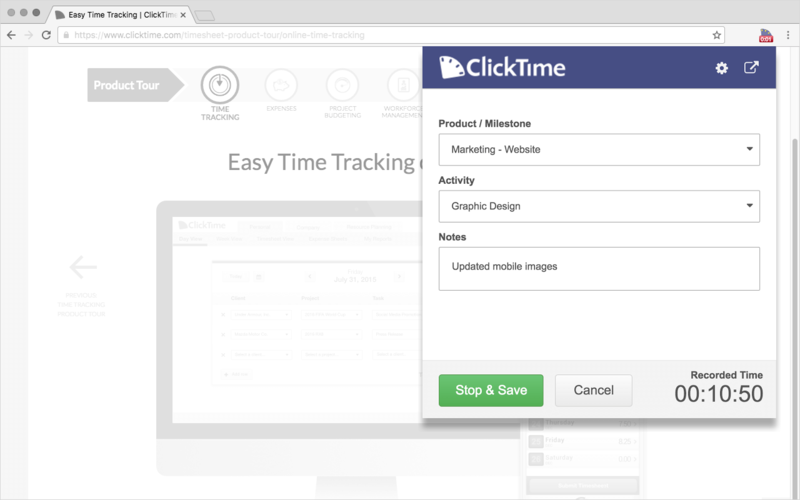 ClickTime makes it easy for nonprofits to plan, track, and manage employee hours and program budgets. ClickTime has a time tracking platform built specifically for nonprofits, which includes reports on funding sources, functional expenses, program costs, and more. ClickTime also offers time off tracking, expense tracking, and employee scheduling as additional features. I know a one Program Manage who's made everyone at her organization install Harvest on their phones to track hours on the go. Harvest offers fast invoicing and payments, and expense tracking. Some of their features include time forecasting, online payments, and robust reporting. Hours Tracker is a simple mobile app that allows you to clock in and out wherever you are. You can even enable the app to clock in and out for you based on your GPS location — when you arrive or leave your site of work. On the Clock offers a simple employee time clock that allows employees to punch in and out from their phones, tablets, or computers. Employees can also request paid time off, which managers can them approve or deny. They also offer many other features like shift scheduling, exports to Excel, and 24/7/365 critical support. ProofHub is a comprehensive project management software that can also track the time your employees spend on tasks. Features include workflows and boards, Gantt charts, easy reporting, professionally designed project templates, and their interface comes in half a dozen different languages. T Sheets is a comprehensive time tracking software that allows your employees to text, phone, tap, or even tweet in their hours. Features include clock in/out reminders, employee breaks, and overtime alerts. T Sheets also uses GPS location to see where on the map your employees are clocking in from. While primarily used for businesses, Time Doctor offers a multi-lingual interface, which many other time tracking software options don't have. 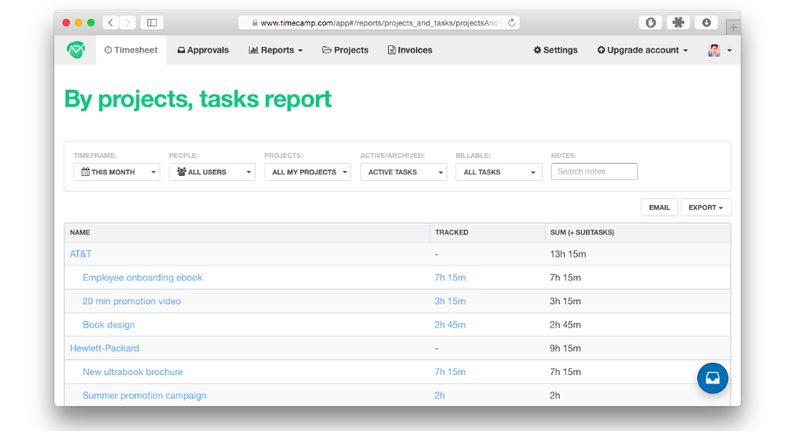 This makes it great for tracking hours and productivity of international teams. Some of their other features include chat monitoring, web and app usage, and an open API. TimeCamp boasts a productivity increase of 30 minutes per employee and is used by over 10,000 teams around the world. Their specialty is in billable hours, employee tracking, and invoicing. They also have integration with a number of applications like 123ContactForm, Trello, Basecamp, and Google Calendar. Are you still writing your to-do list on a notepad? If so, ToDoist is a great solution for the listmakers among us. Here’s how it works: Create a digital list. Label it. Add tasks, then check them off as you go. Done! Simple, right? The real draw is that you can organize and make multiple lists (like a different list for each team, a new list of tasks each week, monthly goals, etc.). You can also access your lists from anywhere you have an Internet connection, add labels to your tasks to keep them organized, and delegate tasks to other people. 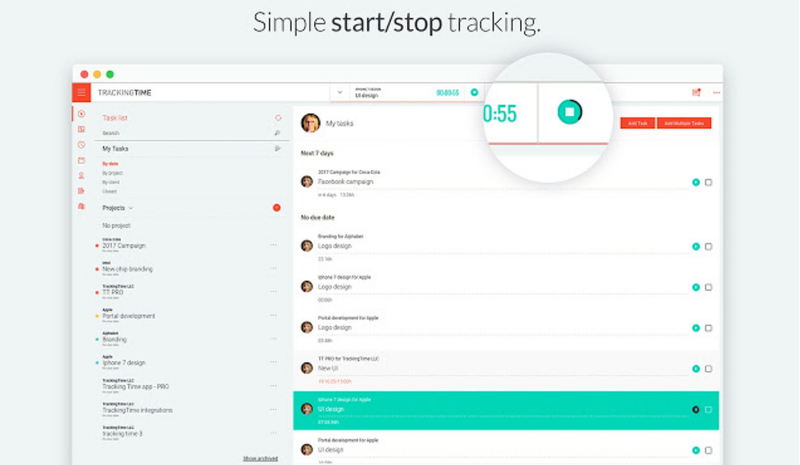 Toggl is one of the most common time-tracking softwares I see nonprofits using. Here’s how one Program Coordinator uses it to save time and manage her volunteers. Toggle also has a free extension for Google Chrome that adds a timer to your browser so you can track how long you’ve been doing something on the internet. Toggle then creates easy-to-view reports on how you’ve been spending your time. Track it Forward is a comprehensive volunteer management system used by nonprofits all over the world including the International Society for Autism and John Hopkins University. Track it Forward also integrates with your website, can handle event sign-ups, and creates easy-to-read reports. Tracking Time is a great extension you can add to your Google Chrome browser. I know one nonprofit admin who swears by this tool because of how simple it is to setup and start tracking time. Cost: $1.99/month for up to 3 users. Free timesheet templates available. WeWorked is a comprehensive timesheet software program used by thousands of nonprofits around the world. They make it easy to track your hours and stay within budget. Plus they have easy to access reports that can help if your organization gets audited. Cost: Free basic plan, premium plan starts at $40/month. Free 30-day trial. Give you a professional, easy to build website where you can host a news section, notices, resources, member directory, an event calendar and more. Wild Apricot is also the number one membership management platform used by over 20,000 organizations around the world. Sign up here to get your free 30-day trial. And there you have it: eleven of the best time management tools I’ve seen used most effectively (plus a great time-saving tool for membership based organization). Hopefully, you’ll find these tools useful at your own nonprofit. All the best with better managing your time! Hi! Thanks for collecting all these tools for us. Great article and thanks for including us (OntheClock) in it! I would like to learn more about you and your company, at your convenience, please reach out to me. Use the email or 888 number on our site. These are all great applications. You should also check Fanurio: http://www.fanuriotimetracking.com It's a useful application, with a user-friendly interface. Great list! If you are looking for a cost efficient, cost effective, and simple tool that will help you track the time and the work completed by your remote employees, Worksnaps (http://www.worksnaps.net/www/) will do a great job. Hope you can check it out!